According to the golden rule of investing called diversification, no single investment portfolio should be devoted to just one gold mining company. 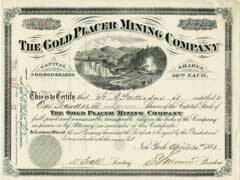 Spread your risk and pick among gold mining investments listed in this article. Knowing that not all gold mining stocks are created equal is an important concept of gold mining investment. Gold mining stocks come in 3 major categories, namely, gold producers, gold explorers and developers. Gold stocks associated with production of gold are usually less risky but are unlikely to bring high returns. Gold investment companies that work with explorers and developers of new mining sites are in a higher risk category but are known to strike gold returns from time to time. Gold mining stocks analysis requires a somewhat different approach compared to all other stocks due to their specifics. Research a gold mining company based on the longevity of its mining sites since it’s one of the best indexes of its future earnings. In addition, the best mining stocks are of companies who are also actively exploring potential gold reserves; it helps them maintain their longevity factor on a high level. Political factor should also be seriously considered since many mining sites are located in politically unstable regions like South America, Africa and some Asian countries. Therefore, many gold stock analysts feel that US, Canadian and Australian gold companies are a much safer harbor compared to companies with mines on other continents. These gold mining companies present a good balance of gold production and exploration multiplied by stable political environment and low production costs. If you are an avid recreational gold prospector, check out our article on Nevada gold mines that are open for public gold prospecting.